So, the Oscars are tonight, and since I love to host friends and family, I’m always looking for an excuse to get people together. 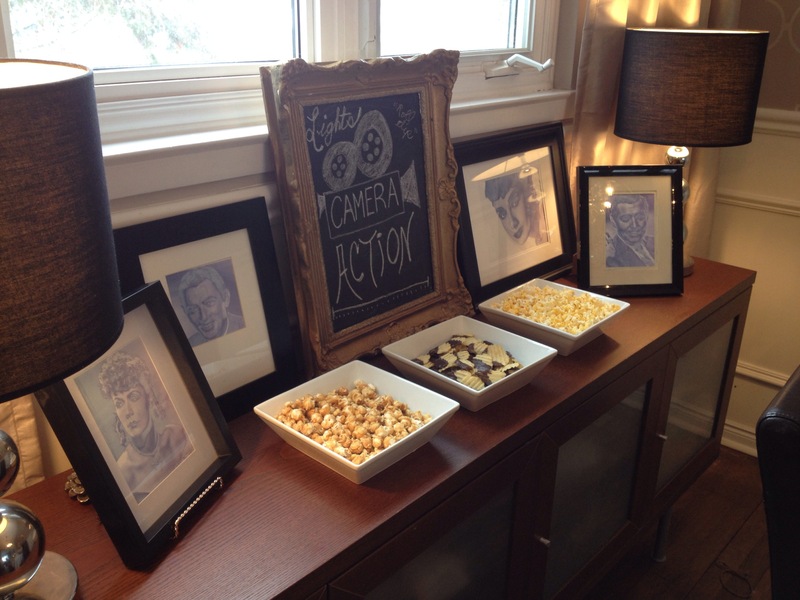 So, why not host an Oscars inspired party? 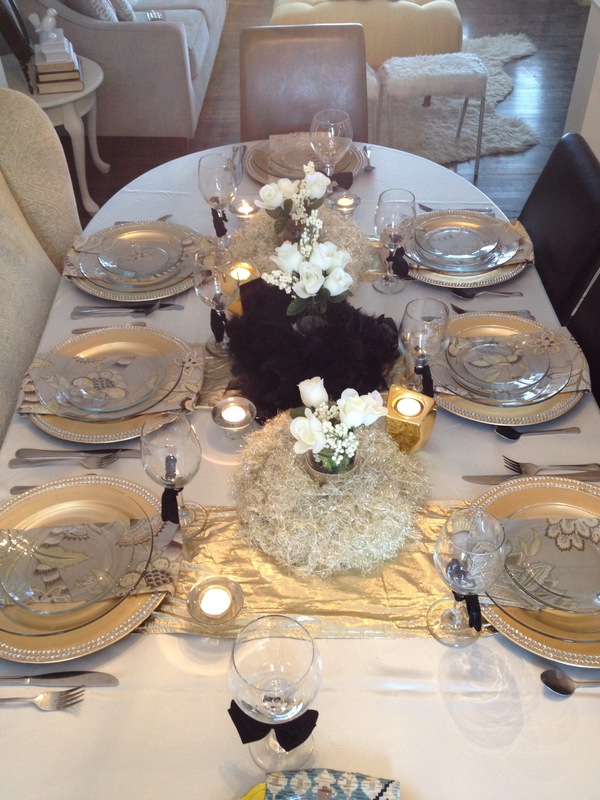 I went with a black, white and gold colour scheme for this table. 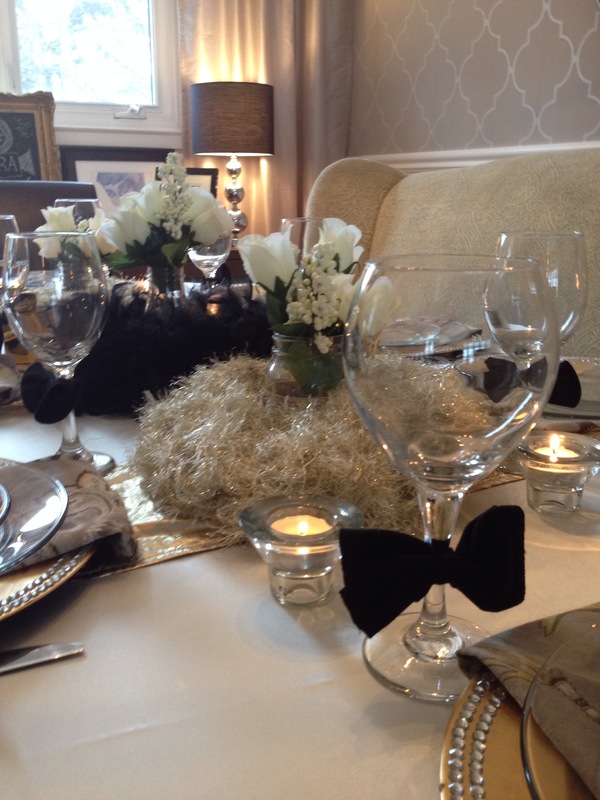 For the centerpiece, I did three “nests”, made with gold/white yarn, and a black feather boa. In the middle of each nest, I put a jar with some roses inside. 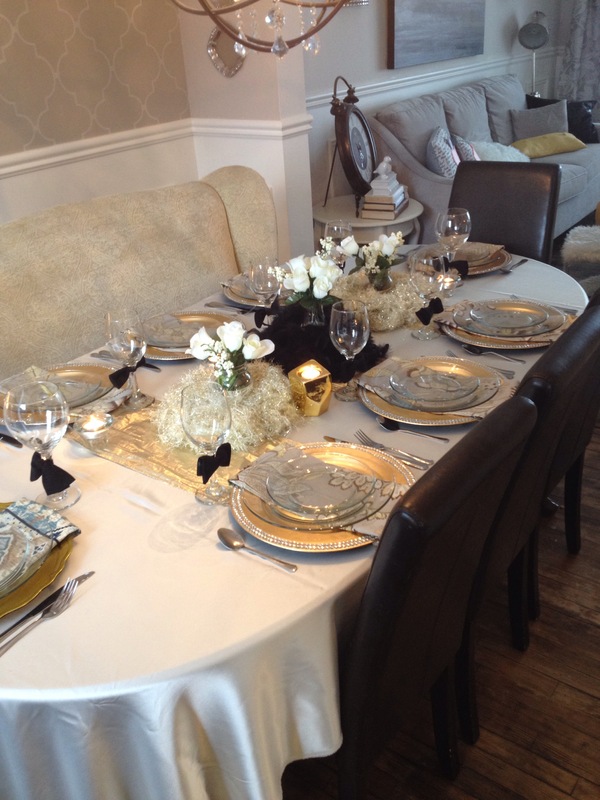 This shows one of the place settings. For some weird reason, there’s a bit of a glare on it that makes the napkin look dirty, but it’s not…. I hope….lol. 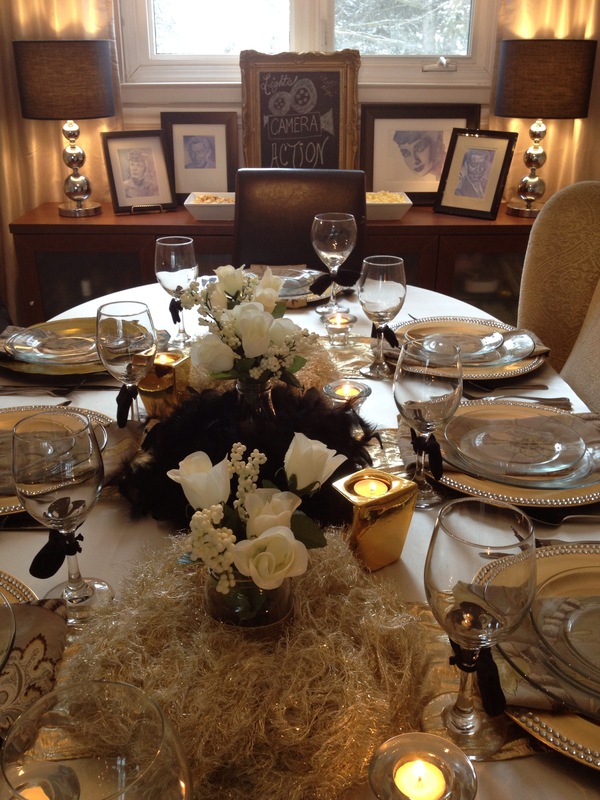 I used the same chargers that I used for my New Year’s Eve tablescape, featured here. 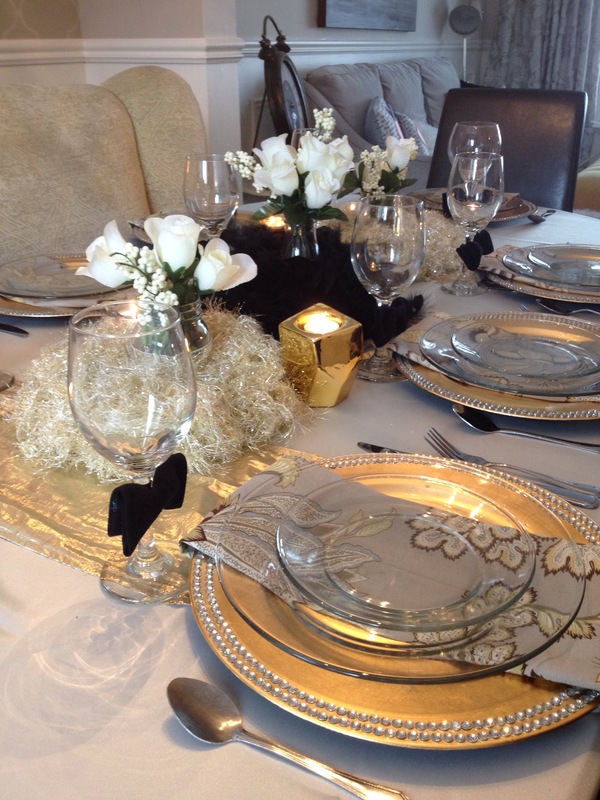 The three gold runners are fabric scraps that I usually use at Christmas to make some of my pillows look like presents. But they also work well here too. 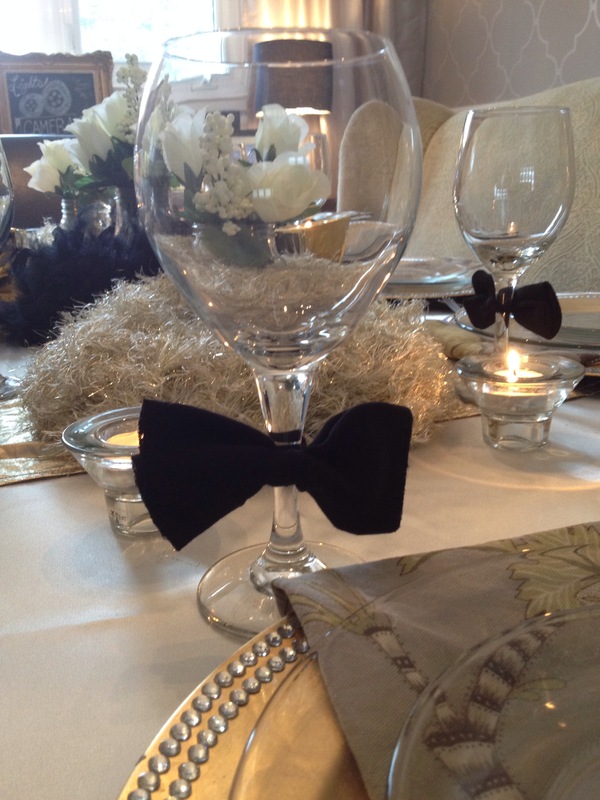 My favourite thing by far about this tablescape is the little bow ties on the wine goblets. I made them using leftover fabric from making my daughter’s headboard. I love this table, because the colours are very versatile. 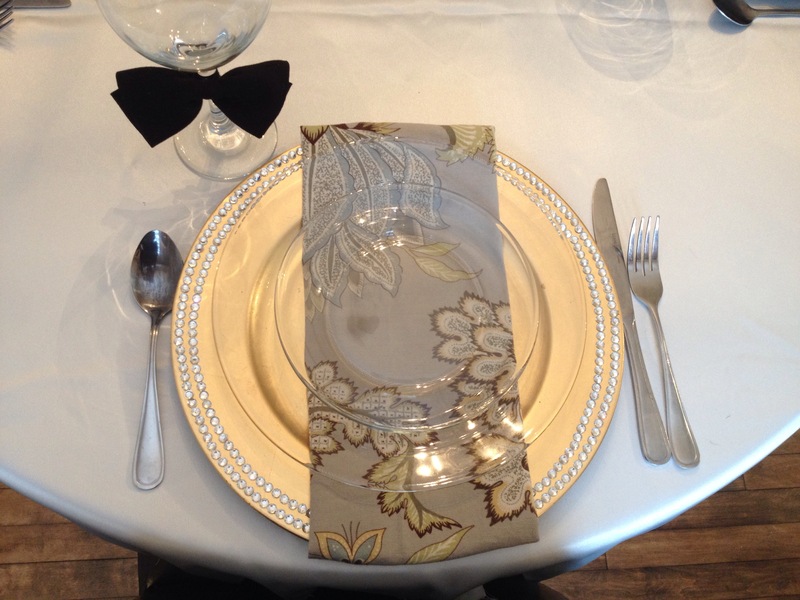 It could easily be used for New Year’s Eve, a fancy Father’s Day Dinner, or any other event that makes you think “black tie”. Here’s a close up for the food. Omg, the chips in chocolate…. so so so so so yummy! After a nice dinner, I plan to sit down, eat some chocolate covered chips carrots, and watch the Oscars. Fingers crossed for Big Hero 6. Love that movie. That’s it for today. I’ll be back on Wednesday with a new post. See you then. If you enjoyed this post, please share on Facebook, Pinterest, Twitter, etc. 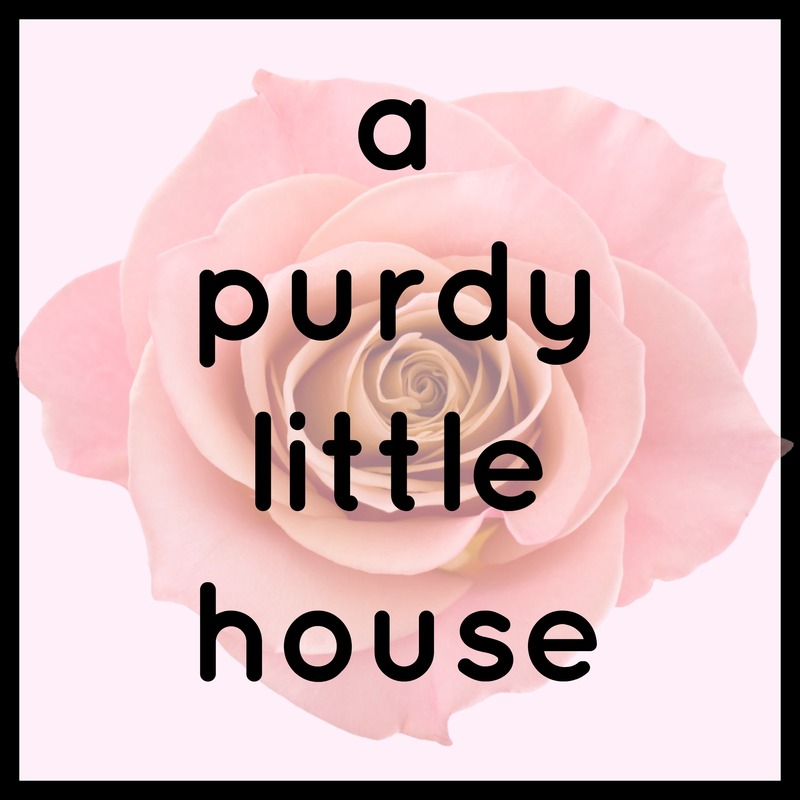 You can also subscribe to my blog to receive an email notification whenever a new post is published. 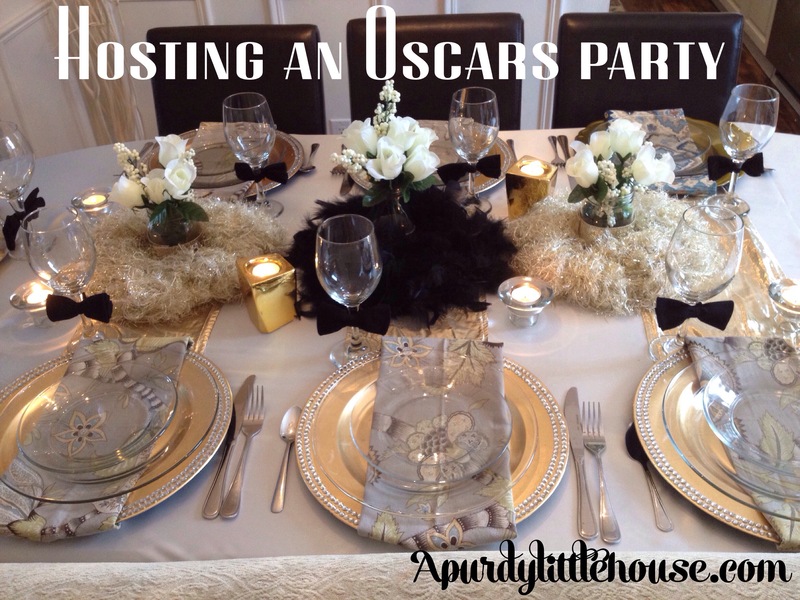 This post pairs so well with my post for today (an Oscars inspired menu)! 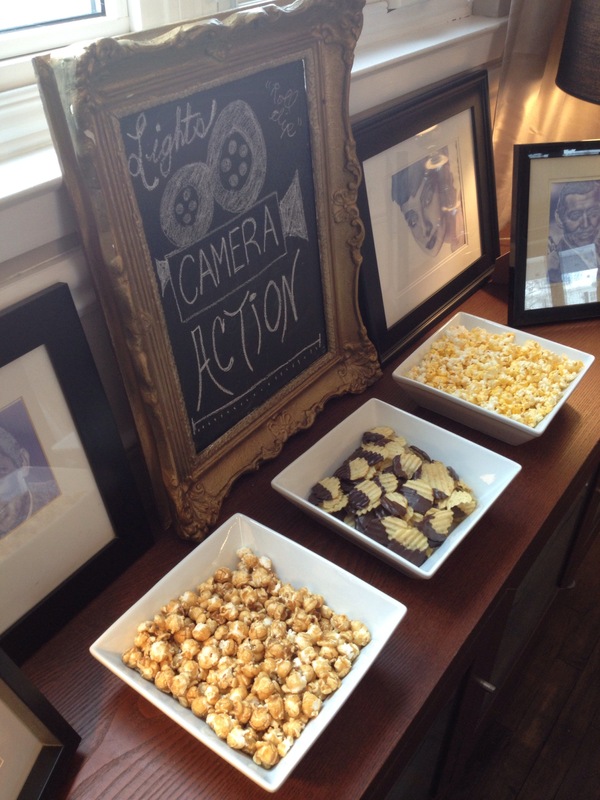 Love the Oscars and all things Oscar parties, love the Black and Gold!